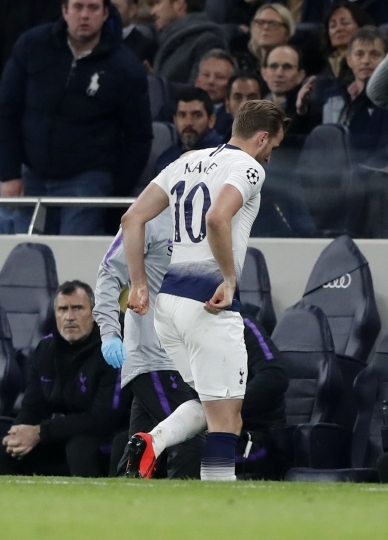 LONDON — With Tottenham's Champions League quarterfinal scoreless and oozing intensity, Harry Kane launched into a challenge to block Fabian Delph's run, clattering into the Manchester City opponent and twisting an ankle. 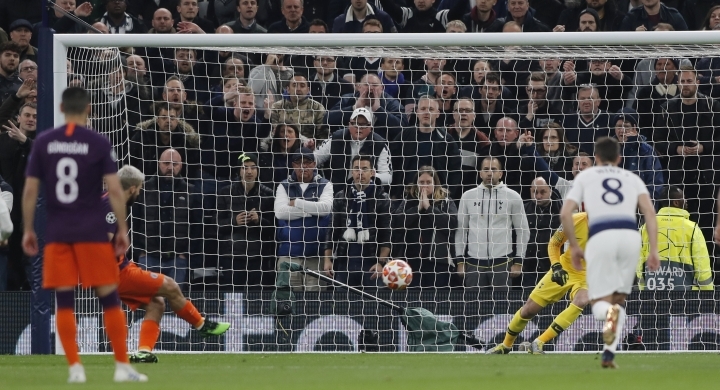 Son Heung-min once again seized the opportunity to become Tottenham's savior, just as he did when Kane missed seven games during January and February. Son gave the crowd at Tottenham's new stadium his own injury scare. But moments after being treated — and 20 minutes after Kane's departure — Son put the ball in the net on Tuesday night. After receiving a pass on the right from Christian Eriksen, Son's poor first touch nearly put the ball over the byline, but he just kept it in play. The South Korean then cut the ball back and skipped past Delph's challenge before striking a low shot under goalkeeper Ederson in the 78th minute. "We need to check tomorrow but it looks the same, a similar issue," Tottenham manager Mauricio Pochettino said. "Very sad, very disappointed, and it's going to be tough for the rest of the season. We hope it's not a big issue but there's not much time to recover." "As a team, we never give up for 90 minutes — we fight," Son said. "It was a very difficult game and in the end, we were more clinical than them." 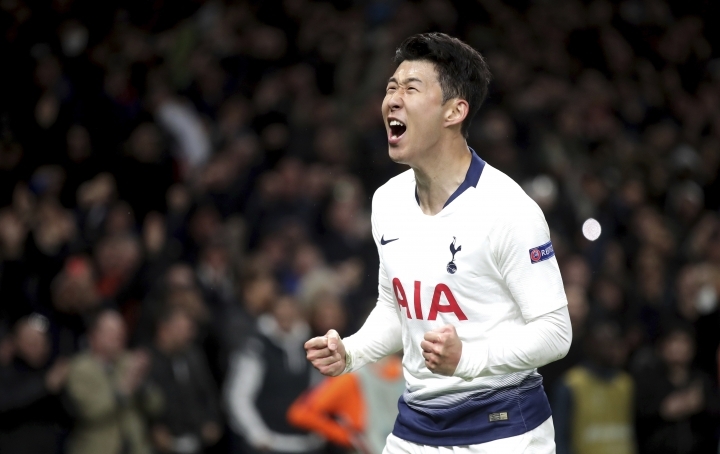 Son also scored in Tottenham's first game at its $1.3 billion new stadium last week, and he now has 18 goals in a season that has seen him miss spells to go on South Korea duty at the Asian Games in August and the Asian Cup in January. "If he is one player who deserves to score, it's him," Pochettino said. "He always smiles." No City players appeared to be appealing for the penalty when the screens signaled the VAR had intervened to check whether Tottenham defender Danny Rose blocked Raheem Sterling's shot with his hand. Pochettino didn't think it was a clear error that warranted a review. "I want to help VAR be a protocol to help the referee," Pochettino said. "But today showed there is still a lot of work to do with the system." 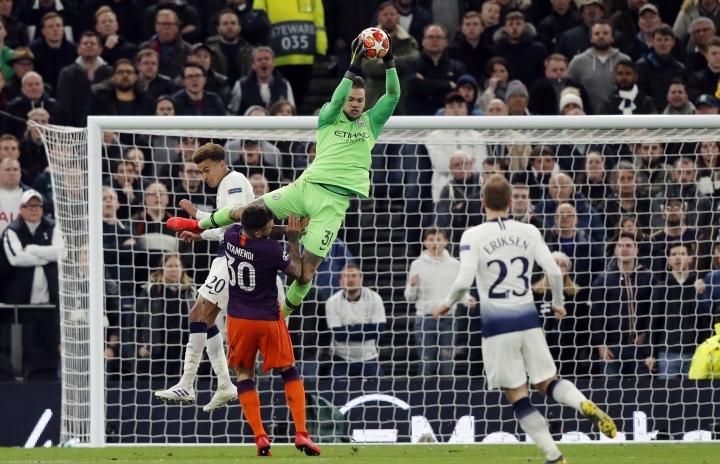 But goalkeeper Hugo Lloris saved the third consecutive penalty he has faced this year, diving to block Sergio Aguero's spot-kick in the 13th minute. City would struggle to test Lloris for much for the rest of a game when Moussa Sissoko helped to control the Tottenham midfield and cut out attacks from Pep Guardiola's quadruple-chasing side. Since City last lost a game in January, it has won the League Cup and reached the FA Cup final. Guardiola wasn't too dispirited about the unbeaten run ending. "Except for a few chances we conceded on set-pieces and counter-attacks we controlled the game," Guardiola said. "When we don't play good I am the guy who says we didn't play good, but I don't have that feeling." City reached the final eight last season but was knocked out by Liverpool. Juergen Klopp's side is trying to reach a second straight final and beat Porto 2-0 at Anfield in the night's other first leg. It's why Pochettino still considers City a favorite to advance to the semifinals. "It's going to be tough, completely different in one week," Pochettino said. 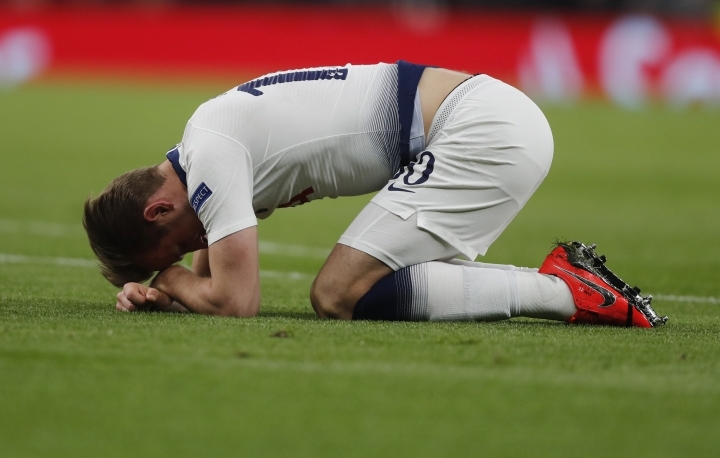 This was Tottenham's first quarterfinal in European football's elite competition in eight years — the last time a Champions League game was staged on this site in north London before the team was forced to play at Wembley while a new home was built. Tottenham is facing UEFA punishment after a pitch invader confronted City players late in the game.